HONOR…The Washita Chapter of the Daughters of the Ameican Revolution, as a partner of the Vietnam 50th Anniversary, presented a program at the Roger MIlls County Courthouse on Tuesday, March 29, 2016 to honor local Vietnam Veterans. 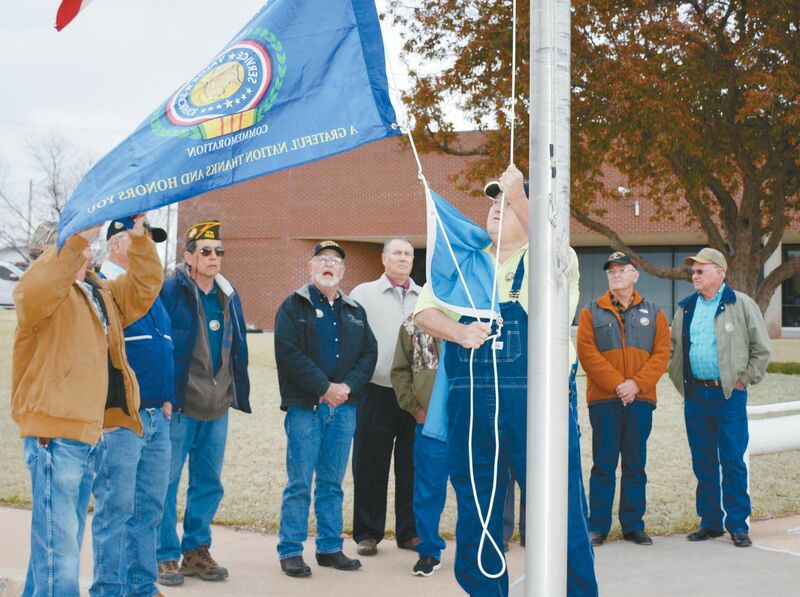 During the program the Vietnam War Commemorative Flag was raised on the Courthouse flag pole. March 29thth was designated across the nations as a day for all Americans to express their tremendous gratitude and support to this generation of Americans.